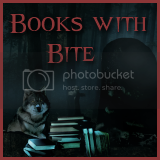 I saw this book one day when I was looking on the Barnes and Noble web page and thought that the premise was good enough to add it to my shopping cart. 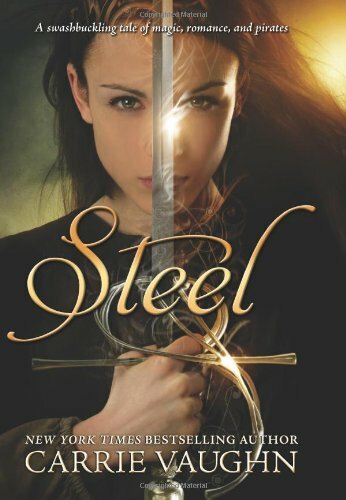 After checking out it's page on Goodreads I found that Steel got mixed reviews. A lot of 3 and 4 star ratings. I thought that the idea behind the story was right up my alley...mainly because it was a new-to-me idea. I think reading Steel helped me get into the proper frame of mind for the new Pirates of the Caribbean movie that came out last weekend. I thought Jill overall was a like able character, though in the beginning she was a little bit to "woe is me" for me personally. There is being dedicated to your sport then there is addicted. I think that at the beginning of the book she was leaning closer to addicted....To the point of NOT being able to enjoy a family vacation a MONTH after her last match. Which leads up to Jill being transported back to the 18th century and becoming a member of the crew on the pirate ship Diana. The more time that Jill spends on the Diana the more she's able to not only conquer her own issues she's also able to help the crew with some of their own problems. When Jill is finally transported back to her own time she takes the lessons that she has learned on the Diana with her to use in her life from that point on. Plus, there is a REALLY COOL "souvenir" too. The pirate portion of the book was my favorite part of the book, meaning I'm not really a fan of the beginning but it got much better. There was a TON of action. The captain of the Diana was a WOMAN and I learned a TON. Did you know that pirate ships are where the first forms of democracy were formed? The main positions (captain, quartermaster, first mate, etc.) were all voted on. Each ship has it's own rules which are known as in Steel the "articles." Also, I really enjoyed that Carrie Vaughn brought actual pirates out of the history books and put them in her book. The only part I had a slight misgiving with was the "romance." There were plenty of hints at it but there was only 1 real kiss in the whole book. Overall, I would recommend this book if you are looking for a fun, quick read, or a slight departure from what you've been reading recently.